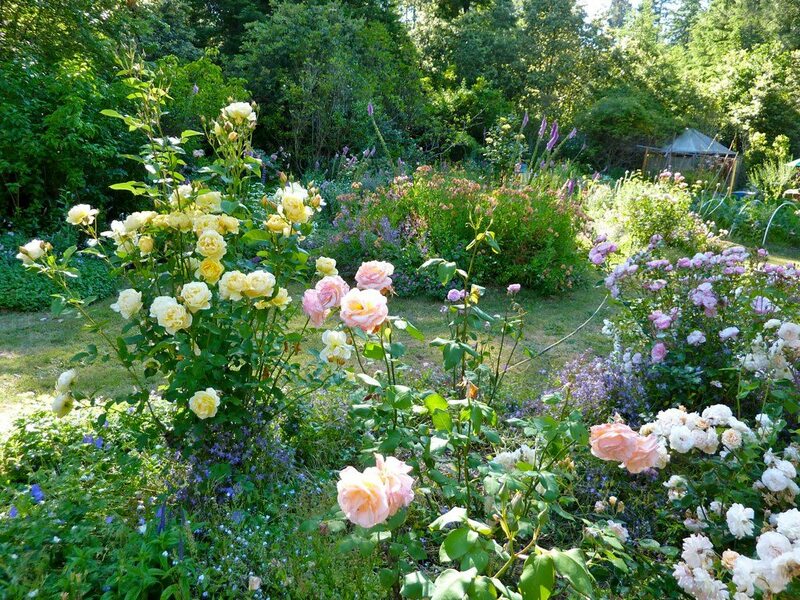 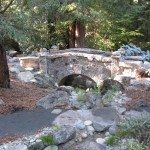 The Christiansen-Arner garden sits next to the State Forest four miles east of Mendocino, California. 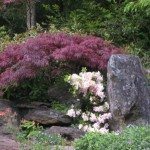 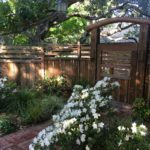 Hundreds of rhododendrons, camellias, shrub roses, a perennial garden, and herb garden are designed to give beautiful color all year round. 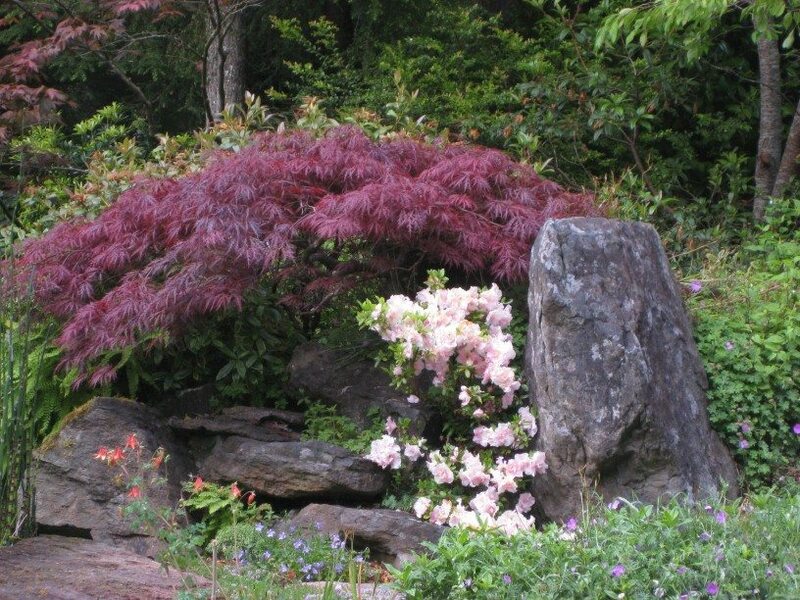 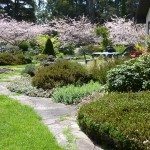 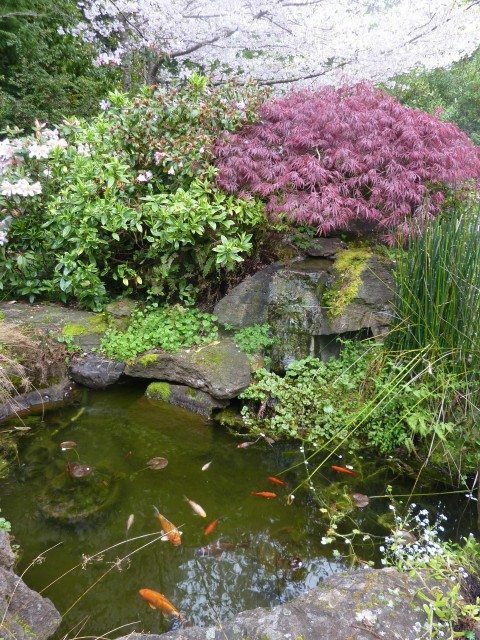 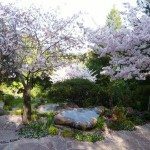 A rock garden and pond composed of large stones and many plants are situated just off the front deck of the house to be viewed at all times. 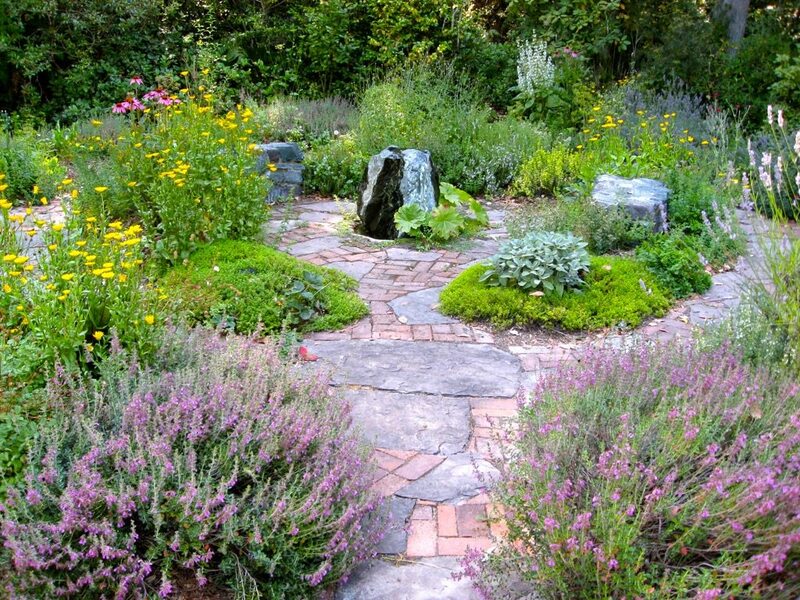 The round herb garden filled with culinary and medicinal herbs is defined by flagstone and brick paths and is steps away from the front deck. 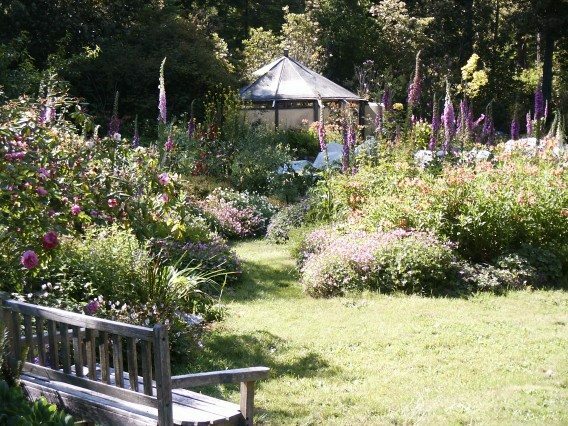 A very large vegetable garden produces food all year long. 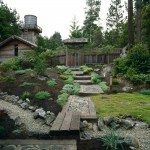 Combined with a chicken house and run, this country garden is designed to be both beautiful and productive and blends naturally with the surrounding redwoods.